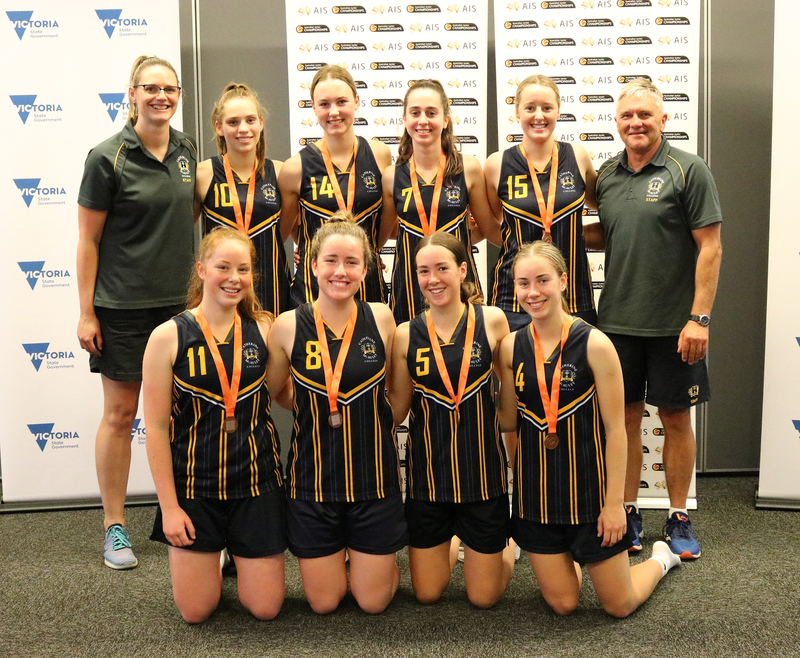 Our Intermediate Girls Basketballers are Australian Bronze Medallists! Yesterday the CMC girls defeated Sheldon 74-38 in their last game of the rounds, finishing 3rd overall. They then played Rowville in the Semi Final and went down in a tough game 40-53. Playing off for Bronze today against Maribyrnong the girls started slowly but managed to kick into gear and play some brilliant team basketball despite the stifling heat and eventually ran out winners of the Bronze Medal match 58-40. (1st quarter 7-10; 2nd 24-19; 3rd 41-28; 4th 58 – 40). After a massive week for the girls it was a brilliant end – to finish 3rd at a Nationals event is an incredible achievement. Congratulations to everyone and thanks to all the parents and supporters for their encouragement. To Miss Eleanor Haring and Mr Damian Driscoll, thanks for coaching the girls and putting so much time into the team to provide an amazing opportunity for this cracking team.